Your stove has the potential to be one of the most dangerous appliances in your home. Knowing the tell-tale warning signs of an impending malfunction is imperative to both the safety of your family and your convenience. Here are five signs your stove needs serviced or will likely need to be replaced in the near future. You smell gas while cooking. A range that runs off of natural gas and has an electric starter may have a slight odor right as its lighting. The scent should dissipate within a minute or so. If you are continuing to smell gas as you cook, there could be a leak in the gas line. This can cause a larger-than-anticipated plume of fire if your electric starter takes a few clicks to get a flame going, which could singe you, your clothing, your hair, and the food on the burner. 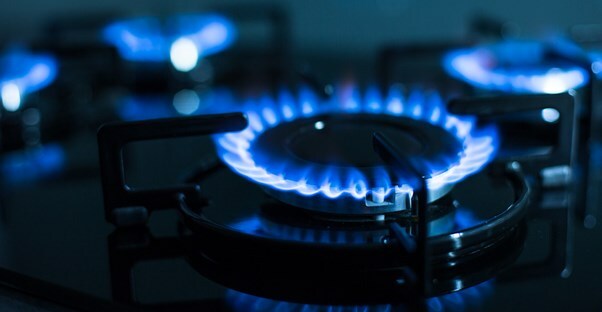 If you smell gas other than during the lighting process, turn off the gas at the valve and have a certified appliance technician check out the stove before you resume cooking. The same can be said if you smell gas while using the oven. Your stove is overheating and burning food. A stove that is overheating may have a problem in the thermostat or in the control mechanism. This can be quite dangerous, especially if it gets so hot that the food is burnt to the point of ignition. If you notice the temperature controls of your stove are not producing the desired heat, have it serviced before a fire or other burn accident happens. Your stove's oven compartment does not lock during a self-cleaning cycle. Older stoves may not have this option, but all modern stoves should lock themselves shut during a self-cleaning. This is to avoid accidents with small children and distracted adults, as the self-cleaning cycle is extremely dangerous due to the high heat. If your oven is supposed to lock during a cleaning and doesn't, your warranty will likely cover it. Call a technician out before you attempt a cleaning cycle with a malfunctioning lock. Small cracks have appeared in a ceramic cook top range. For electric stoves with a flat ceramic cook top, the smallest crack can cause the entire surface to shatter when it is heated. View your cook top in good lighting and from several angles each time you clean it. While tiny scratches are bound to appear over time, actual cracks are a danger. Try testing the depth of a 'scratch' with a toothpick if you aren't sure how deep it goes. Your electric elements are shutting off at random. Some electric stoves have safeguards built into them that shut down the heating elements if they become overheated. This is controlled by a thermostat that can fail over time. If you notice your elements are shutting off or cooling down without your input, have the stove serviced. While there is no danger from the stove with this issue, there is a danger of consuming under-cooked food and making your family sick. Knowing the signs of a faulty stove or one that is in need of service is essential to avoid burns, accidents, and under or over-cooked food. Be sure to keep a close eye on your stove to ensure it works properly.